Whether your venue is inside or out, we are prepared to help! 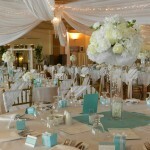 We are the most complete full service bridal and event rental company in Central Minnesota! We would be honored to work with you from the Design to Delivery. We begin the design process with a one on one consultation and a customized quote based on your needs. The showroom is open by appointment only.